Isabella Huffington’s artwork replaces fashionable mannequins in the window of Ports 1961, in New York’s Meatpacking District. Arianna Huffington’s daughter, Isabella, is not your typical college student. The Yale senior who majors in art history is also a talented artist with a particular passion for mixed media. Her works are so impressive that high-end fashion house Ports 1961 removed all inventory from its Meatpacking District store to hang a weeklong show of her most recent, large-scale, psychedelic pieces. A perfectly coordinated display of Ports 1961’s purple, white, and black accessories beside a collage of the same hues. I met the sweet and soft-spoken artist at the exhibit’s opening on Thursday night. “I’m drawn to simple shapes and colors,” Isabella said, as guests André Leon Talley, Andre Balazs, Mica Brzezinksi, and even former mayoral candidate John Catsimatidis oohed and aahed over her work. 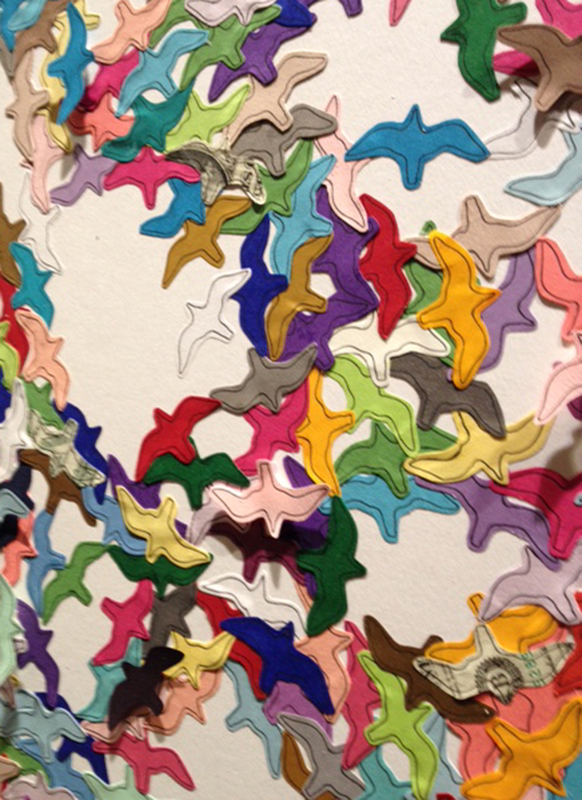 Each piece in the show is made up of shapes of animals, birds and people, pieced together like puzzle pieces. Most forms are rendered—quite remarkably—with Sharpies. 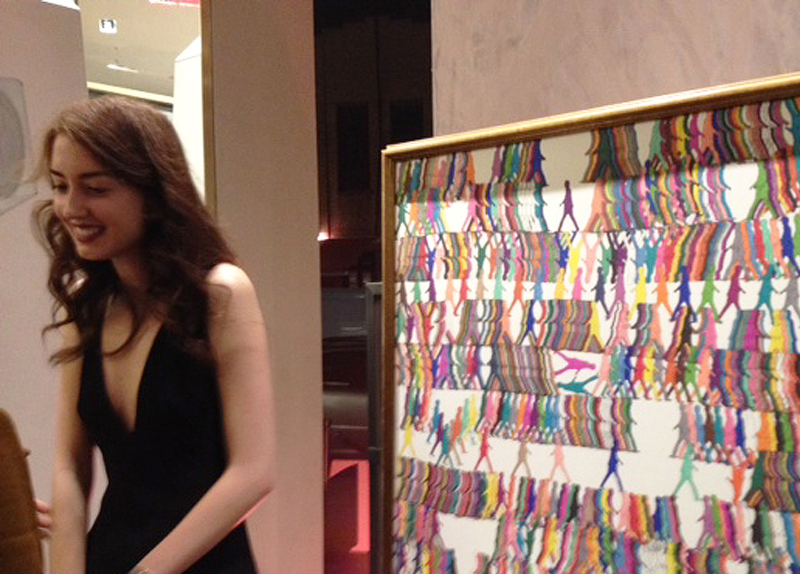 The artist stands beside one of her kaleidoscopic works. 20% of proceeds from the sale of these works will go to Harlem Children’s Zone. 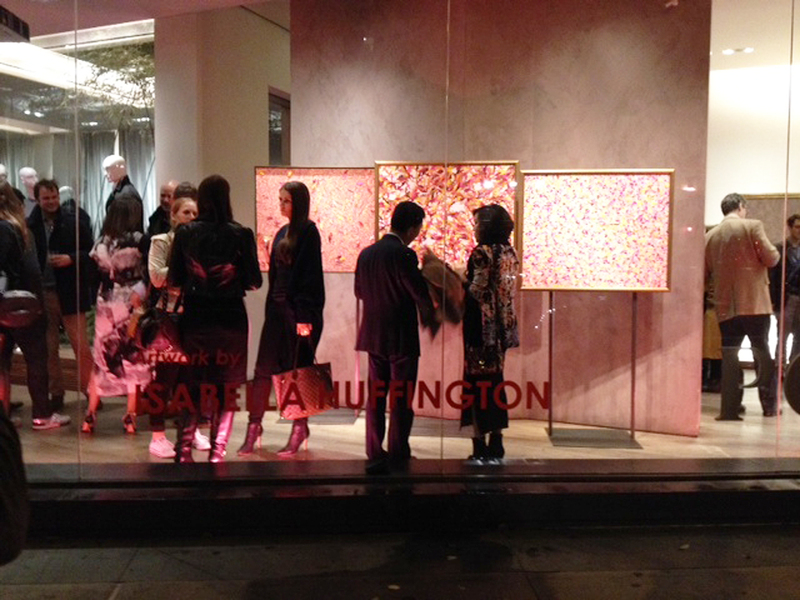 Visit Ports 1961 at 3 Ninth Avenue, NYC, to view Isabella Huffington’s works, now through November 15. A detail of collage on museum board with dollar bills. 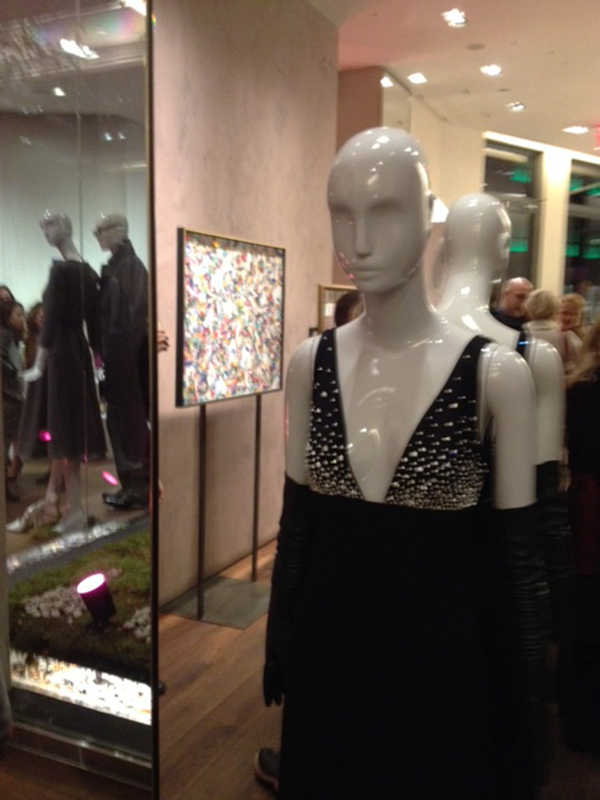 A Ports 1961 mannequin revels in her surroundings.